Discovery Level 2. Arranged by Roger Emerson. Discovery Choral. Jewish, Holiday, Concert, Hanukkah. Octavo. 16 pages. 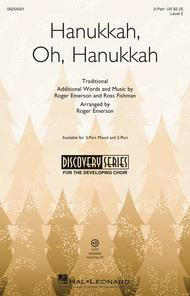 Published by Hal Leonard (HL.254501). With a nod towards a Klezmer band--clarinet and tambourine--added to the piano accompaniment, here is a high energy Hanukkah song. 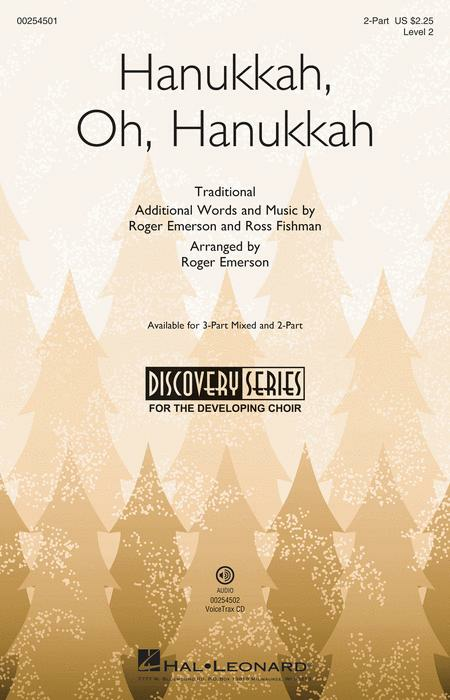 Merging a traditional Hanukkah melody with original words and music by the composer and the arranger, this is sure to become a tradition on your holiday concerts.